I’m all for funky fashion. Wear what you want, make your own trend, mix trends, forget trends, make it yours. “Funky”, however, should not be confused with “nightmare-ish”. Yes, this is a direct reference to Lady Gaga. If you have managed to watch TV, be on the internet, listen to the radio, or have conversation with citizens of the general public in the last couple days, chances are that you have heard the names Kanye West, Taylor Swift, Beyonce, and Lady Gaga being tossed around. 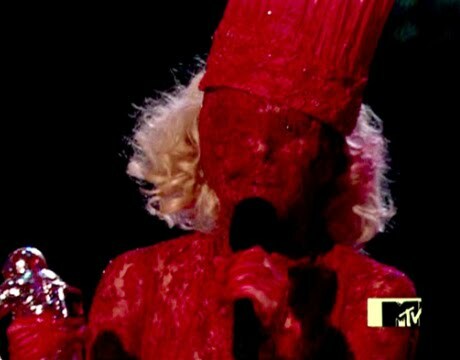 The Kanye/Taylor/Beyonce VMA triangle was truly bizarre, but Gaga has captured my full, disturbed, attention. I realize this is exactly the point, you don’t be Gaga in order to be ignored, but my intrigue has won over my aversion to playing into celebrity’s attention getting games.